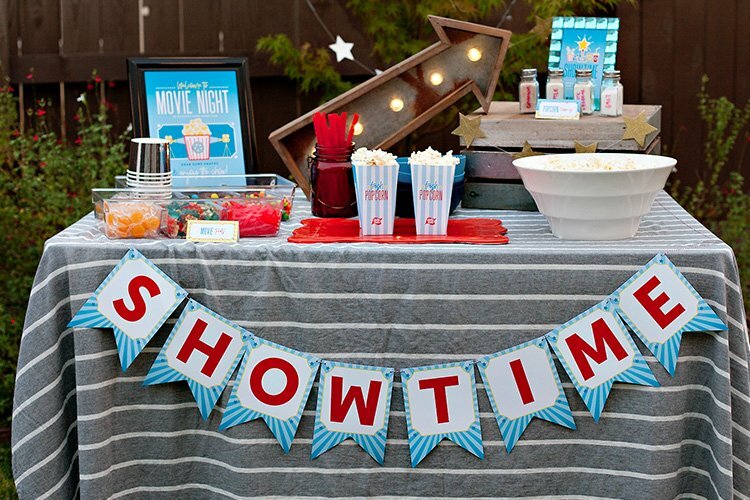 Just like many of you out there, football season is a big deal in our household! 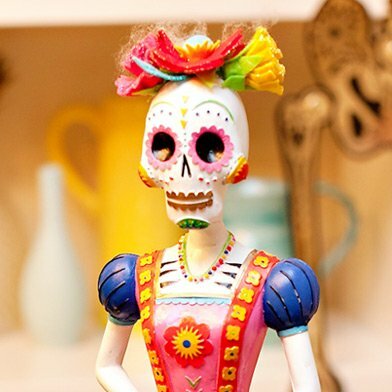 And as much as I love dreaming up creative football party inspiration and hosting game day get-togethers at home, I’ll admit that things can start to feel a bit redundant sometimes. I mean, there are only so many ways to recreate “football laces” on your food and cover everything in grass green and yard lines, right? SO…. 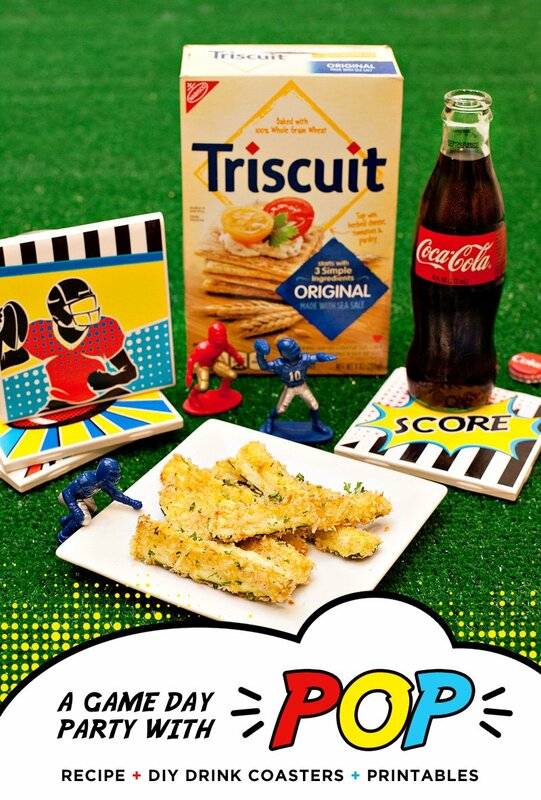 for my final Coca-Cola and NABISCO Home Bowl post, I thought it would be fun to try out something totally different. 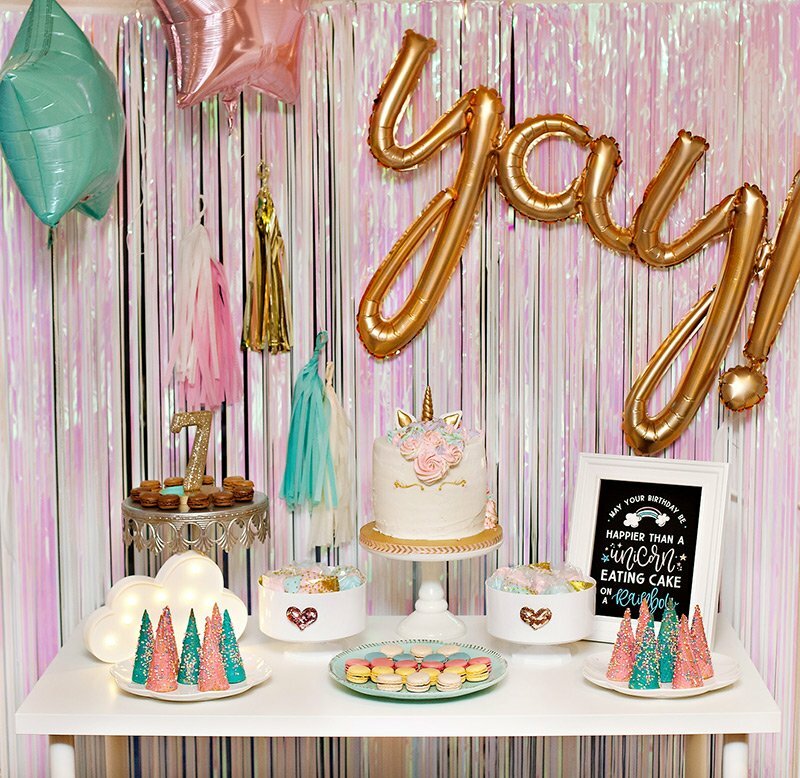 Instead of the standard green, white, and brown football party palette, this one’s filled with bright, bold colors that POP! 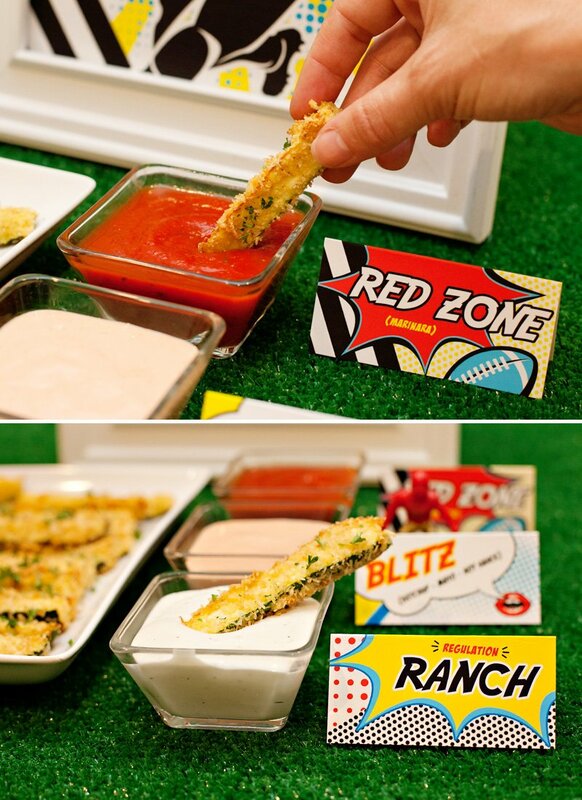 The zucchini sticks are rolled in a mixture of crushed TRISCUIT Crackers, cheese, and garlic before baking, and served with a trio of dipping sauces that I dubbed Red Zone, Blitz, and Regulation Ranch, which I will further explain below! 1. Preheat oven to 425º and prepare a baking sheet with aluminum foil. 2. 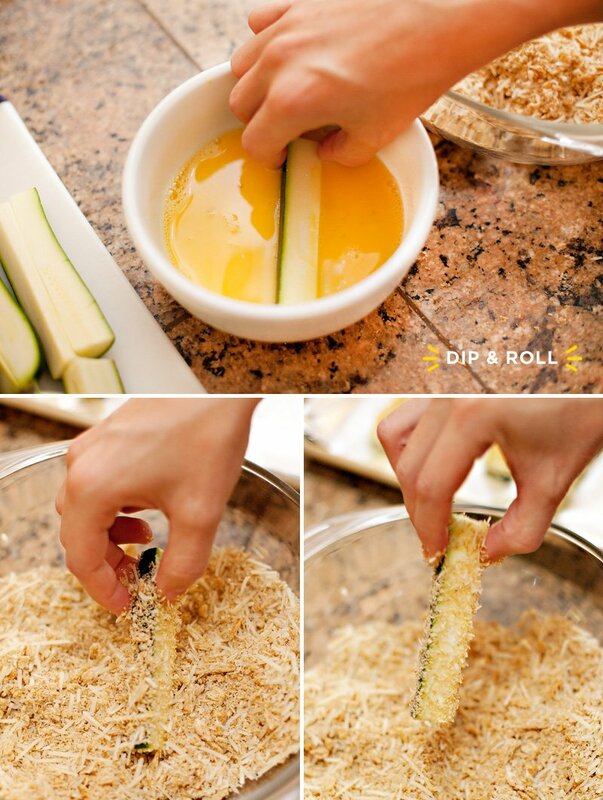 Cut each zucchini into sticks by first cutting them in half lengthwise, then cutting each half 2 more times, lengthwise. You should now have 6 long, skinny sticks. Cut each of those in half to create short sticks. 3. 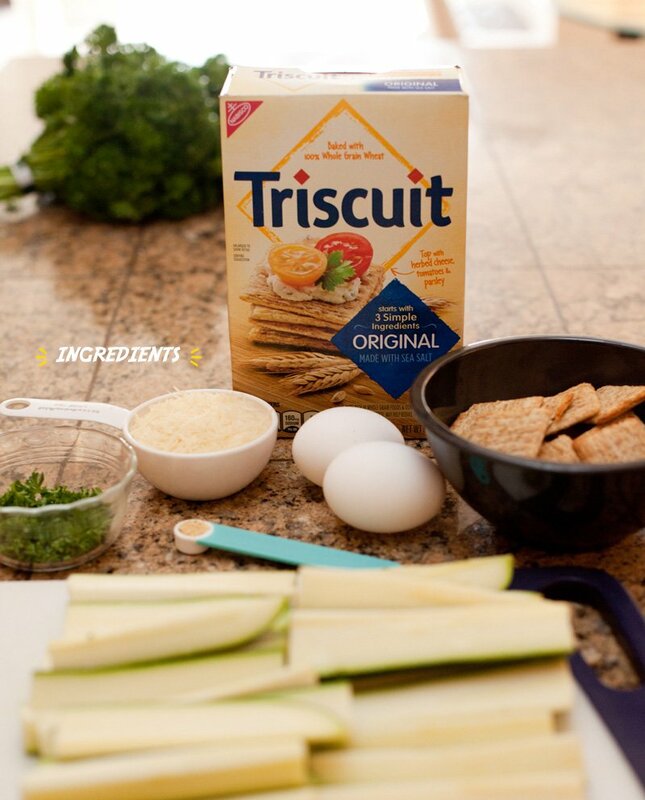 Use a food processor to finely crush TRISCUIT Crackers into crumbs. 3. 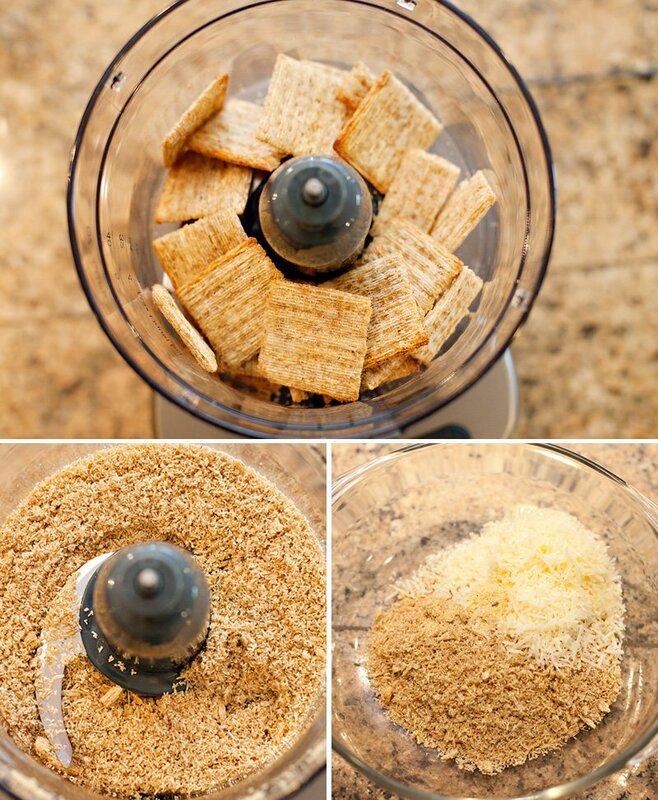 Mix cracker crumbs, Parmesan cheese, and garlic powder in a medium bowl. Stir until well combined. 4. Beat eggs in a separate bowl. 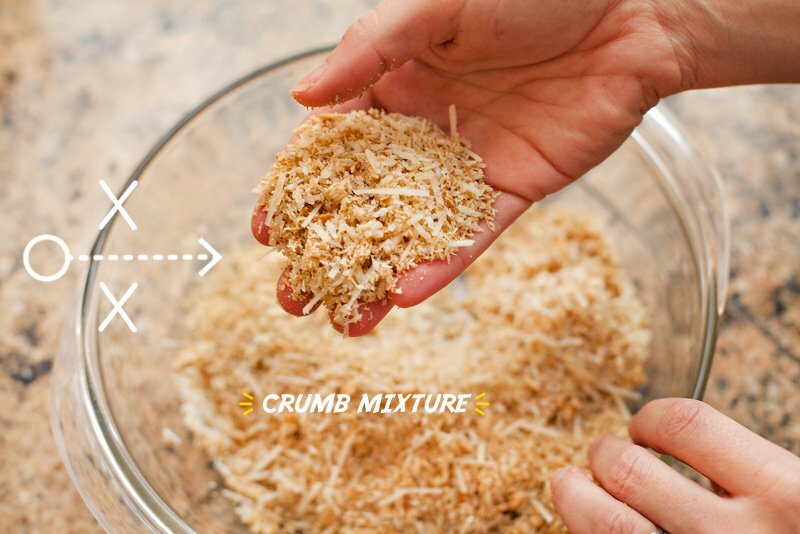 Dip a zucchini stick in the eggs, then roll it in the crumb mixture. 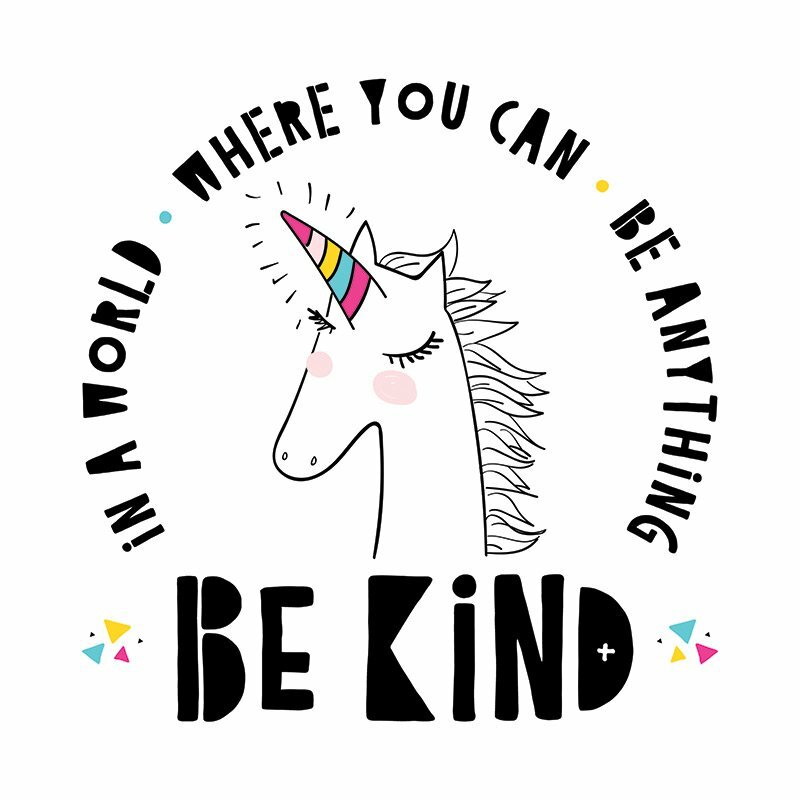 Repeat with all of the sticks. 6. 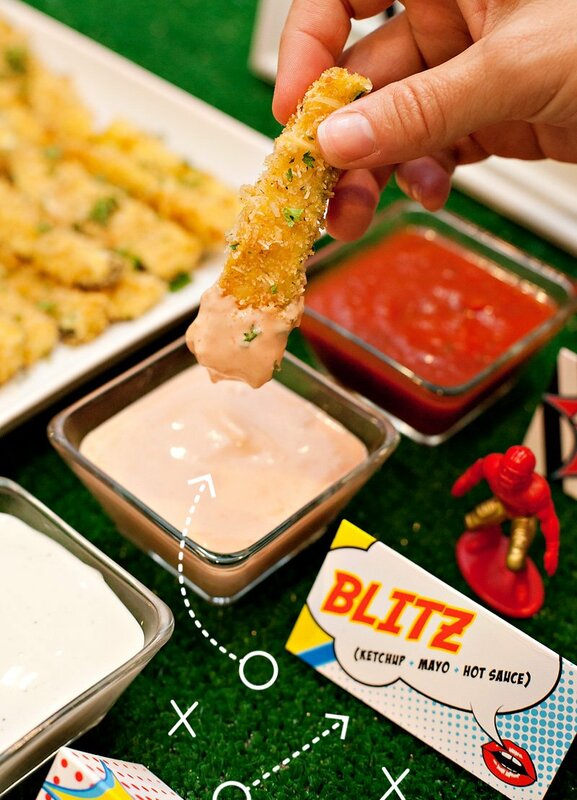 Lightly season with salt (to taste), then serve with playful dipping sauces and ice cold Coca-Cola! 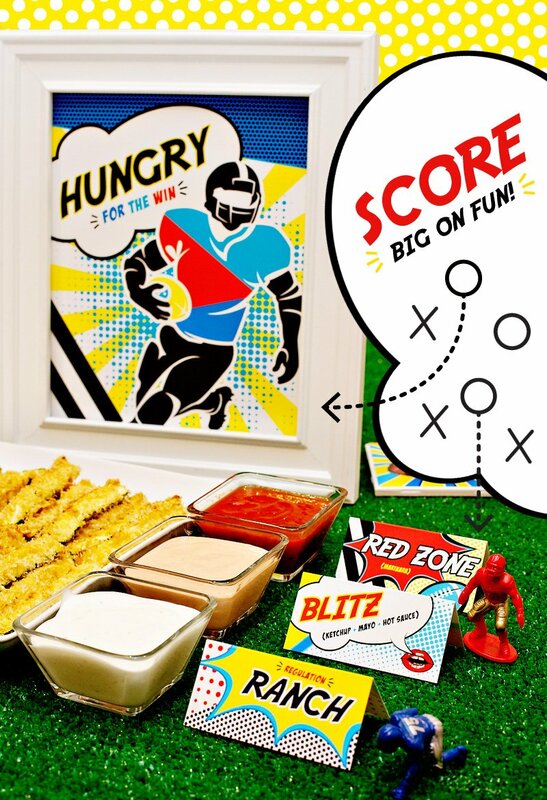 You can download my 8×10 “Hungry for the Win” sign and Pop Art Dipping Sauce Labels for free! I also made some blank labels in case you want to change up the types of sauces. 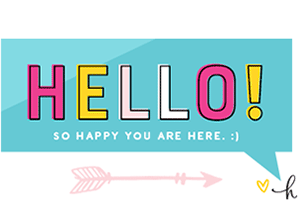 The blank labels are intended for handwriting, unless you’re comfortable with digital design programs, in which case the (free) font I used here is called Adventure. 1. 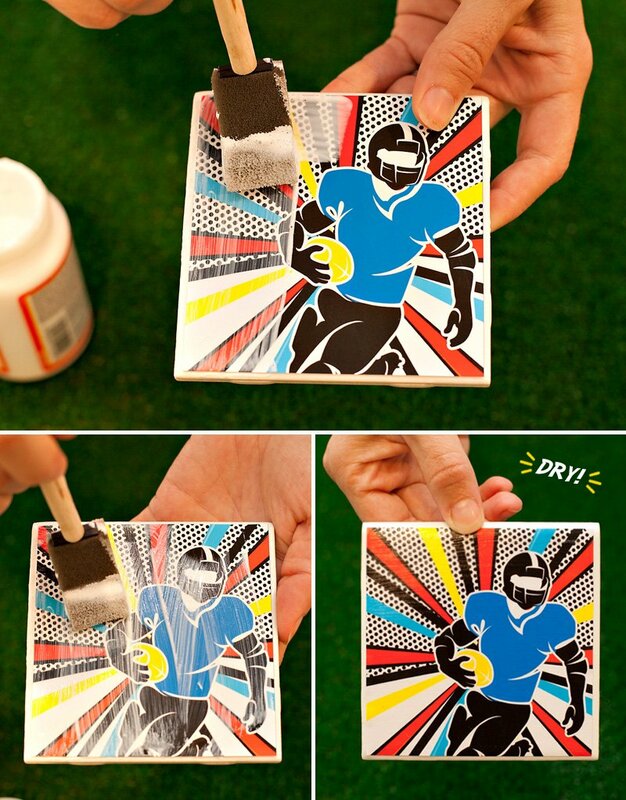 Brush the top of a tile with decoupage glue, then center one of the square football pop art designs on top. You should still be able to see a little bit of the tile all the way around the edge. 2. 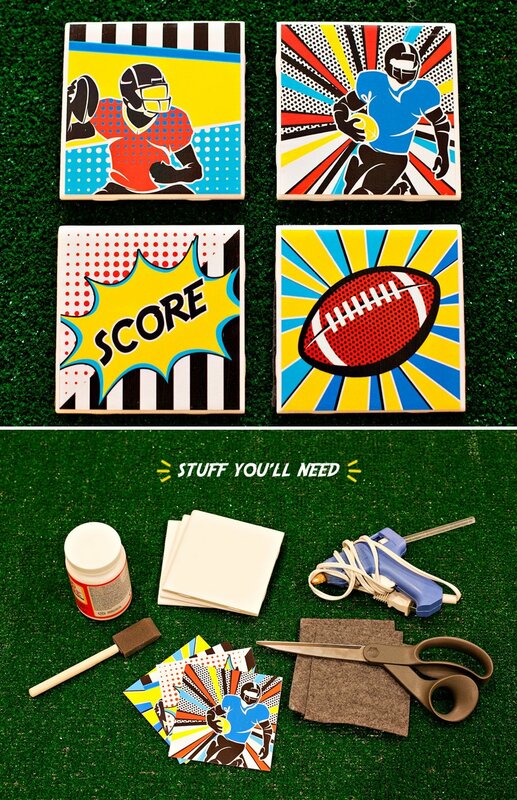 Generously coat the entire top of the paper design and coaster with decoupage glue. Make sure to get the edges and go all the way over the white tile border as well. 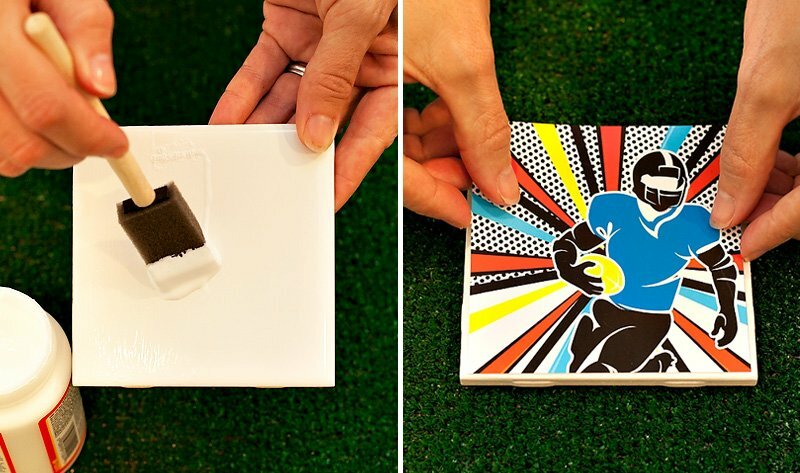 You want to seal the paper design to the tile. Let dry for 20 minutes, then apply a 2nd coat. 3. 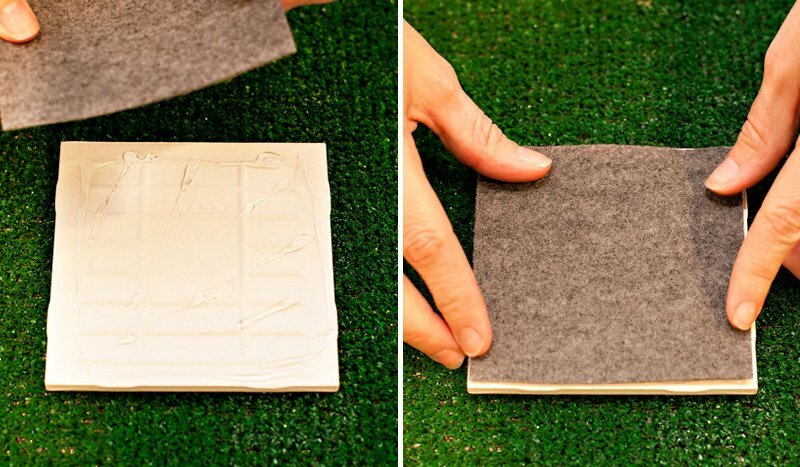 After your 2nd coat is dry, it’s time to add the felt base. 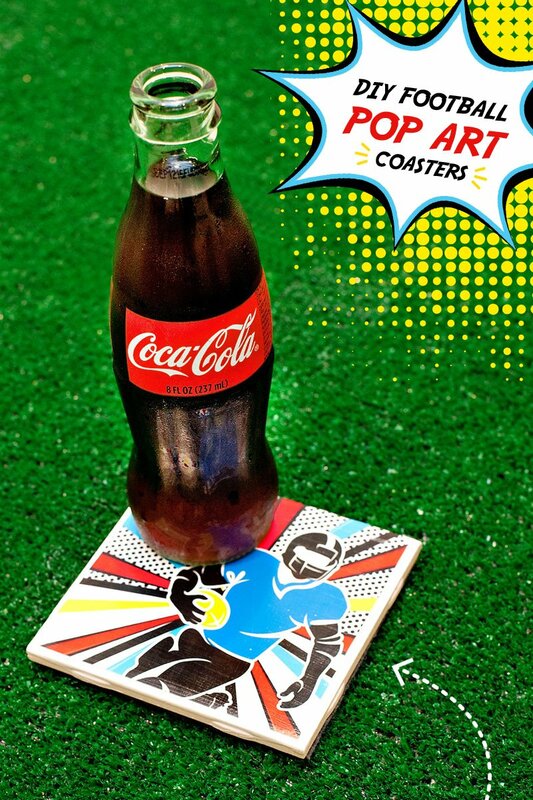 Turn the tile upside down and hot glue the felt to the bottom of the coaster…. and you’re DONE! Easy, right? 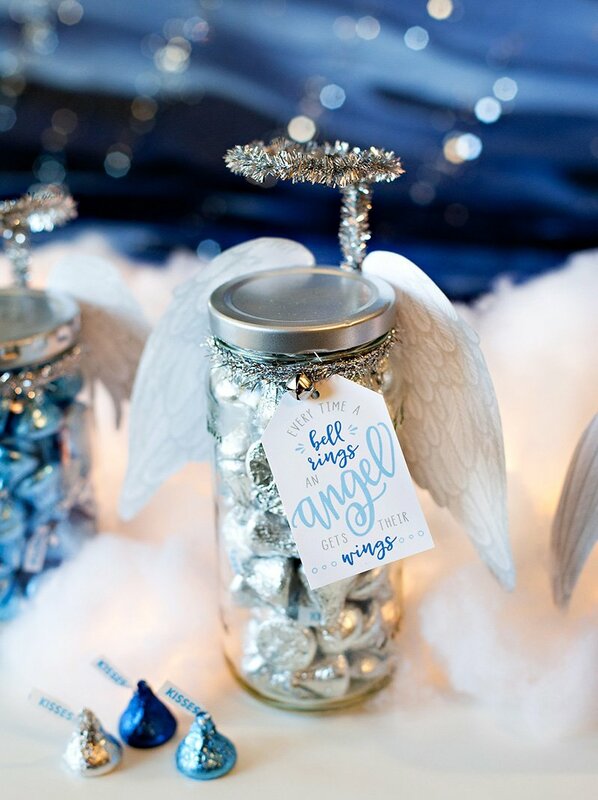 ;) Now it’s time to bring out the frosty beverages and have fun with these at your game day party! 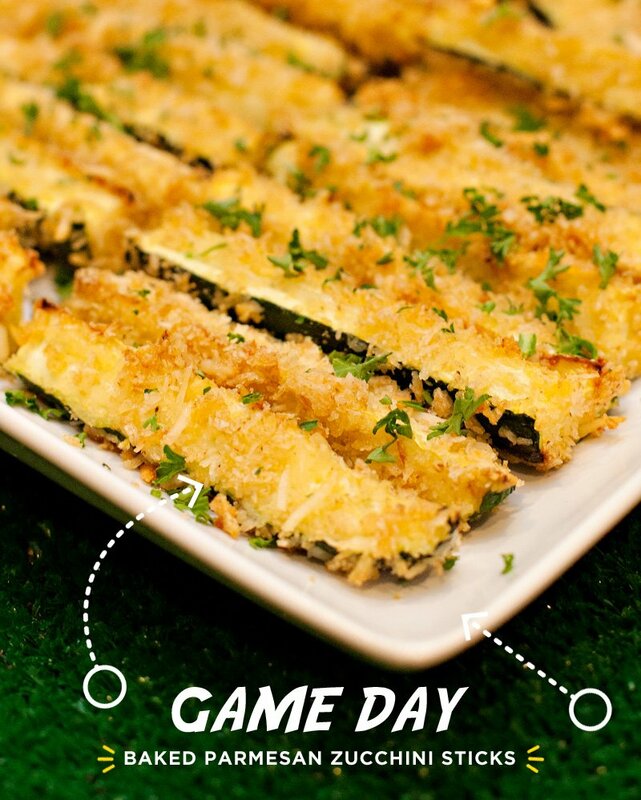 Speaking of game day parties, check out more of my recent #HomeBowlHero football party ideas here, here, and here. Disclosure: Compensation was provided by Coca-Cola and NABISCO for this post. As always, the content and opinions are my own. Thank you for supporting the companies that make it possible for us to keep the creative content coming! 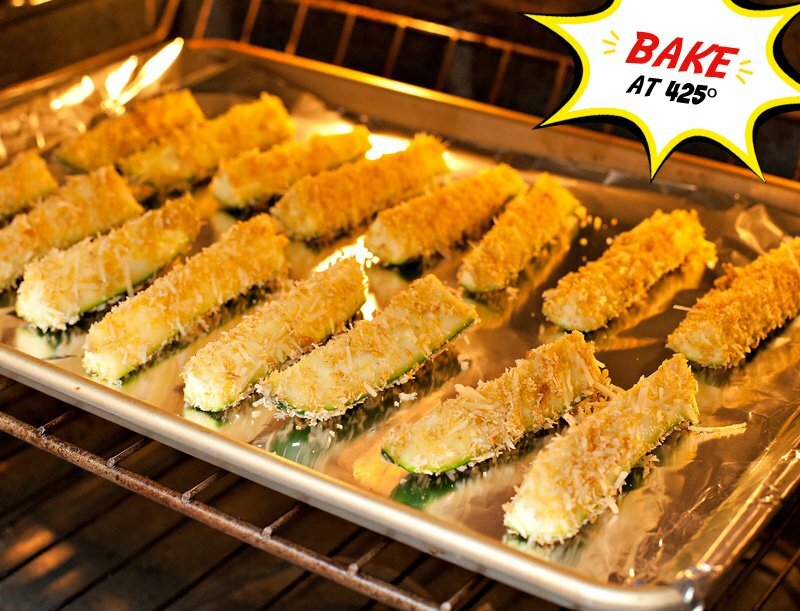 I’m going to have to try these – I’m always looking for a way to trick my husband into eating zucchini! I love the coasters too. I’m sure I won’t get to them by Sunday, but what a good idea for the future!